Traditional development paths of Chinese origin, Taï Chi Chuan and Chi-kong are ways of seeking harmony through movement. They present the precision of martial arts, the concentration of meditation and the aesthetics of dance. Because they improve memory, balance, concentration, muscle and joint flexibility, Taï Chi Chuan and Chi-Kong are often called "Health Energy Arts". The multitude of courses: Taï Chi courses "classical", senior, Chi-Kong and/or Taoïst gymnastics, with or without sequences or alternating sitting and standing practice, allows everyone to find a corresponding course. Depending on the course you follow, various techniques - chosen to be adapted to the practitioners - exercises of Taoist gymnastics, Chi-Kong, Yi-Kong, different sequences of Form with bare hands, with sword or sabre, pushing hands, or even self-massages, etc... will help you to develop your internal energy, the chi. 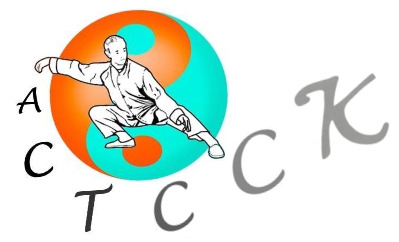 The « Association Creusoise de Taï Chi Chuan » affiliated to FABTCC BOURGES, is approved by the Departmental Directorate for Youth and Sport for La Creuse (actual DDCSPP). The teaching is assured by Pascal LABESSE, holder of a Professionnel Diploma in the Teaching of Chinese Martial Arts. He studies and trains with Jean-François BILLEY who has for 20 years been the pupil of Master CHU King Hung who is himself a disciple of YANG Sau Chung (oldest son of YANG Chen Fu). This provides a measure of the quality and authenticity of the teaching provided.